ST. PAUL, Minn. (11/14/2018) —This year, you might want to create an entirely local Thanksgiving feast, starting with the turkey, of course. Minnesota leads the nation in turkey production. University of Minnesota Extension has been collaborating with the Minnesota Turkey Growers Association (MTGA) since 1939 on research and educational programs in bird nutrition, bird health, management, genetics and breeding. Minnesota youth learn poultry science through Extension 4-H projects. While hatcheries and processing companies provide many jobs, growing the turkeys happens on family farms. Four hundred and fifty family farmers raise 42.5 million turkeys each year. Get to know some turkey farmers by watching videos produced by Minnesota Turkey. One of the major changes in Minnesota’s turkey production was the transition from a seasonal to a year-round operation. In the early-to-mid 1980s Extension researchers, turkey farmers and industry worked together to devise ways to rear turkeys indoors through the cold Minnesota winters. They continue to innovate, advancing systems in biosecurity and barn lighting and energy use, for example. Each year brings new ideas on how to cook the Thanksgiving bird. 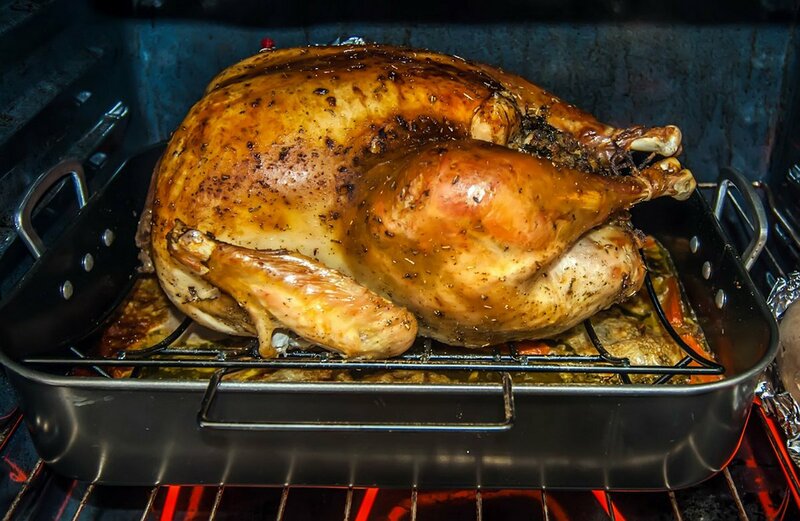 “Regardless of the cooking method,” says Suzanne Driessen, Extension food safety educator, “the basic things to watch for relate to thawing, cooking temperature, avoiding cross-contamination in your kitchen, and storing leftovers.” Visit Extension’s turkey basics webpage for everything you need to know. Lara Durben, Minnesota Turkey communications director, can tempt even the least fancy cook to go beyond the ordinary. She eats turkey regularly all year long, which makes for a lot of creativity with leftovers. One of her favorites is Sicilian turkey stromboli. The recipe calls for sliced Jennie-O sundried tomato turkey, but you can make the dish out of Thanksgiving turkey leftovers and chopped sundried tomatoes from a jar. The University of Minnesota is researching how to improve poultry egg production by studying environmental factors like lighting and temperature. Minnesota fruits (think pie!) and greens and other fresh vegetables for side dishes can be found here in November too. Season-extending farming methods such as high tunnels, aquaponics and deep winter greenhouses have really increased our bounty. You can find some of these ingredients, along with turkeys direct from farms, on the Minnesota Grown website.